Repair all types of gear failures with Gear-Aid Aquaseal FD, a clear, waterproof urethane adhesive. After it cures, it becomes a flexible, rubber glue that is ideal for fixing outdoor gear that's in constant motion. It also offers excellent abrasion resistance. So, when fishing waders rip on the river or a wetsuit tears while diving through prickly corals, don't throw it away. 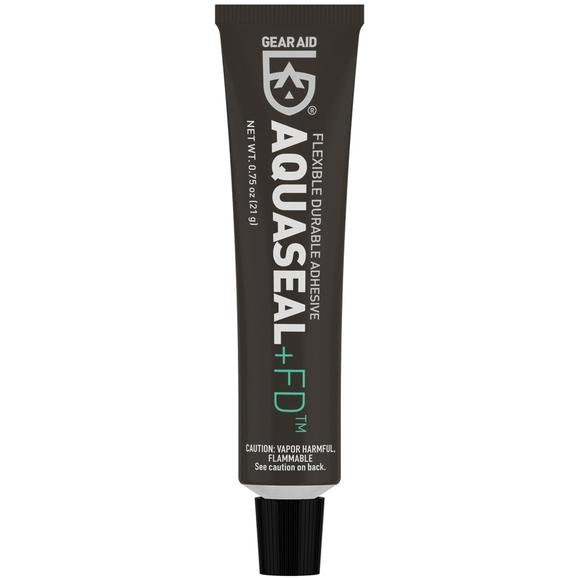 Repair all types of gear failures with Gear-Aid Aquaseal FD, a clear, waterproof urethane adhesive. After it cures, it becomes a flexible, rubber glue that is ideal for fixing outdoor gear that&apos;s in constant motion. It also offers excellent abrasion resistance. So, when fishing waders rip on the river or a wetsuit tears while diving through prickly corals, don&apos;t throw it away. Fix it with Aquaseal FD. It&apos;s also useful as a seam sealer. Donâ€™t let rips, tears, and holes stop you. Patch it up with the all-purpose Aquaseal FD and stay dry.